Denise Carter holds a Bachelors Degree in Engineering from UCLA. She completed a two year Fellowship in the California Agricultural Leadership Program in 2009, whose mission is to provide advanced leadership development experience for emerging agricultural leaders. Her professional career began as a design and project engineer for Texaco at refinery locations in Wilmington, CA and Eagle Point, NJ. Cross training in marketing as well as supply and distribution rounded out her 15 year career in the petroleum industry. In 1993, she and her husband moved to Colusa County to assume management of the family farm. Ms. Carter's responsibilities on the farm include financial, marketing, regulatory compliance, and organic operation certification. She has been a Director and 2nd Vice President of the Colusa County Farm Bureau, as well as the North Valley Chapter President of CCOF (California Certified Organic Farmers). While raising her children she served as a 4-H sheep project leader for 5 years, a soccer coach, and a school volunteer. In November, 2007, Ms. Carter was appointed to the Colusa County Board of Supervisors and has been re-elected twice. She has focused on rural community flood protection in the Sacramento Valley and is currently leading efforts for the Countywide Groundwater Sustainability Agency. Additionally, Ms. Carter facilitated the siting of a Natural Gas underground storage facility in the County. 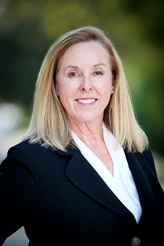 She also serves on the Colusa County Transportation Commission, LAFCo, California State Association of Counties (CSAC), Rural County Representatives of California (RCRC) as well as many other local boards, committees, and commissions.